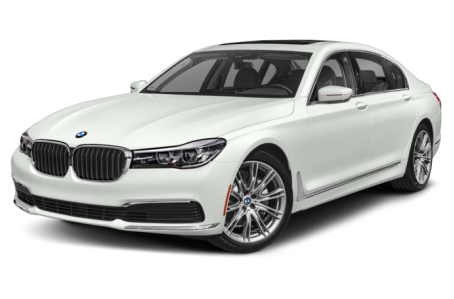 The 2019 BMW 740 is a full-size luxury sedan that is positioned below the 750 variant. It is powered by a standard 320-hp, 3.0-liter inline six-cylinder engine mated to an eight-speed automatic transmission. Rear-wheel drive comes standard, while all-wheel drive (xDrive) is optional. It competes with the Mercedes-Benz S-Class, Audi A8, and Lexus LS.